In case you haven’t noticed yet, I have a deep love for little desserts. I’m not sure what it is about them. Maybe it’s because I can justify eating one when they are small. Or maybe it’s because I can justify eating more than one! 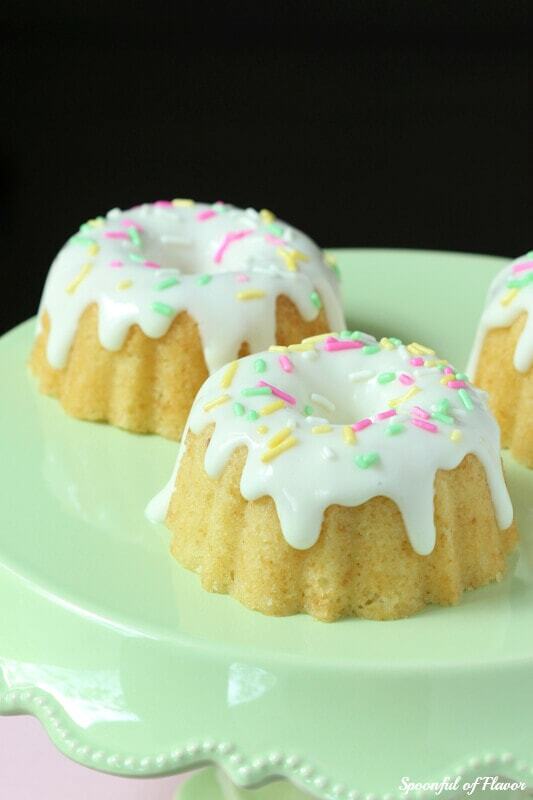 Today, I am bringing you these mini Lemon Ginger Bundt Cakes. The original recipe makes one large bundt cake, but given my love for little desserts I decided to make this one in mini form. 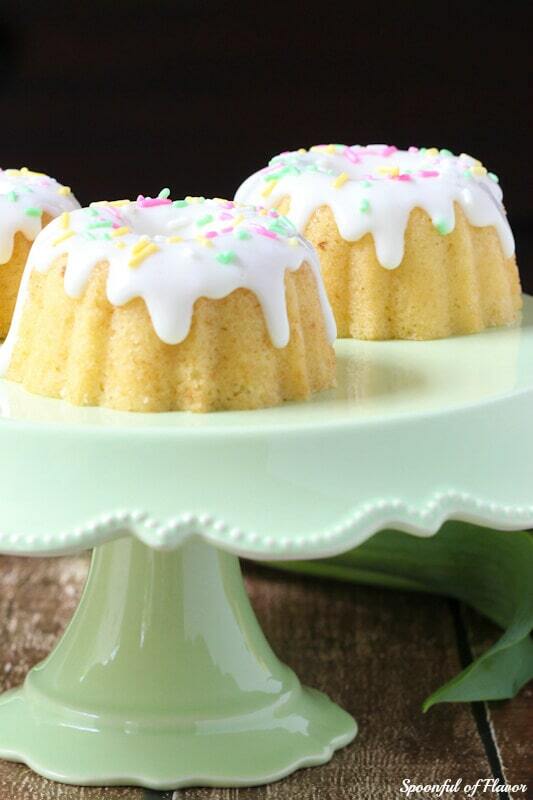 The cake is moist, dense and full of lemon flavor. 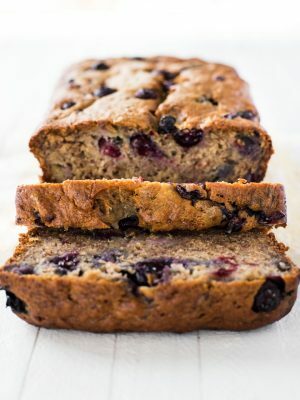 The ginger helps elevate the flavor of the cake even more. And topped with lemon glaze it makes an impressive little spring treat. 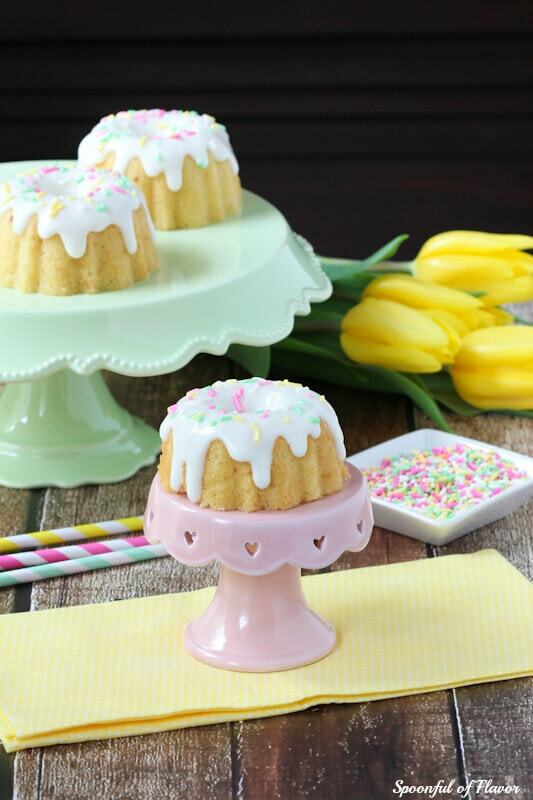 It is perfect to serve for Easter, Mother’s Day or any other springtime event. Spring makes me feel refreshed and re-energized. In fact, despite still having to work a bit this weekend I was able to get quite a few things accomplished. I completely finished planting my spring garden, purchased two new planters for my front porch, filled them with colorful spring flowers and picked up a few organization and storage pieces at Target to work on my spring cleaning. Make sure you scroll to the bottom of this post for a chance to win a $50 Target gift card. 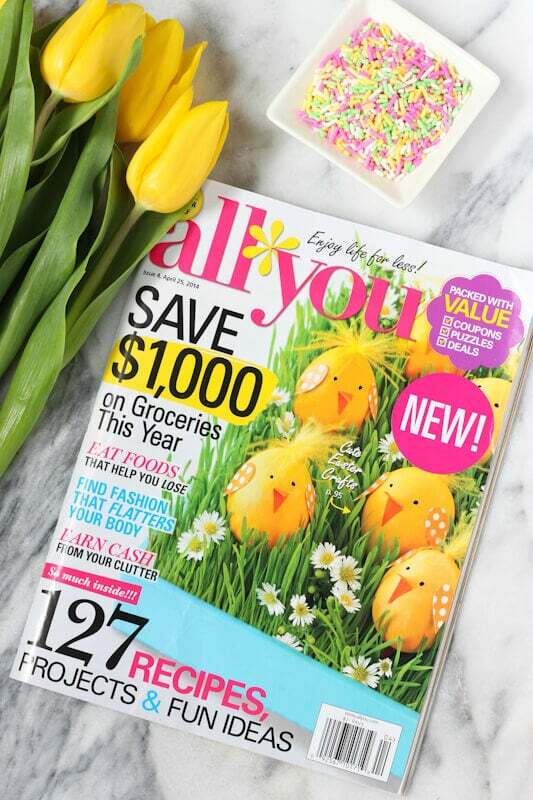 Passing through the checkout line at Target, I grabbed the April issue of All You Magazine. 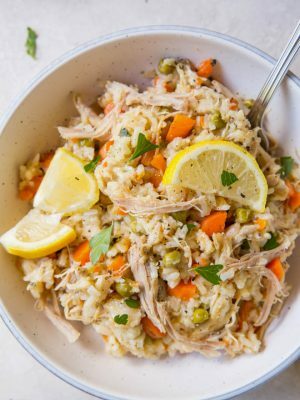 The magazine provides inspiration for money saving recipes and tips to make meal planning easier. 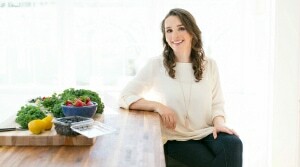 All You Magazine is perfect for working women and busy moms who want to save time, money and stress. 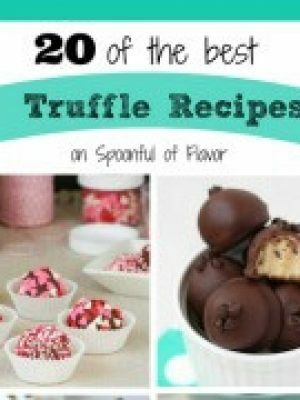 As I was browsing through the April issue, I found over 127 recipes, projects and fun ideas. And on top of that, the magazine is full of money saving tips and coupons. 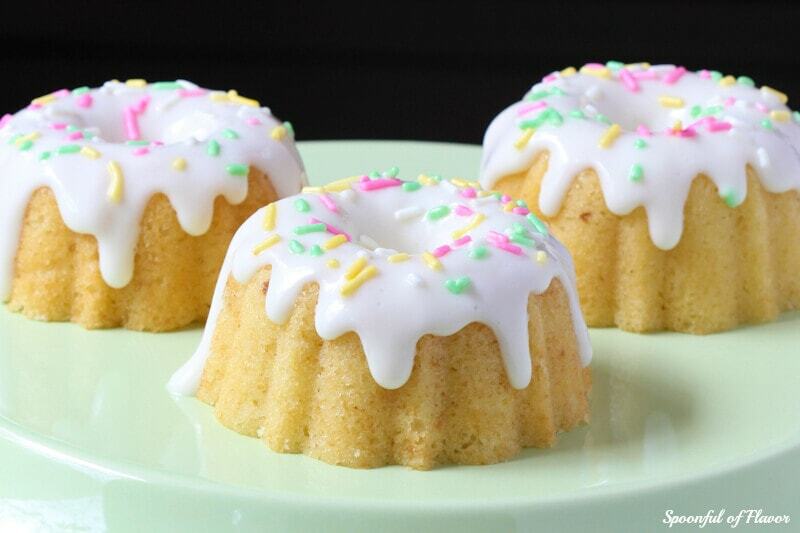 I bookmarked a few of the recipes for weeknight meals and then made these mini Lemon Ginger Bundt Cakes. I’m excited to hear that All You Magazine is now available nationwide. Now, I can pick up a copy of the magazine every time I pass through the checkout line at Target. In addition to Target, All You Magazine is now available at Safeway, Kroger, Meijer, and Dollar General. You can even go here to print a $1 off coupon (while supplies last). The recipe for Lemon Ginger Bundt Cake was included in the April issue of All You Magazine. I made a few slight modifications which are listed in the notes below. Lemon Ginger Bundt Cake - fresh lemon ginger cake with lemon glaze creates a beautiful little spring dessert! Preheat the oven to 325 degrees F. Butter and flour a 10-inch nonstick Bundt pan. 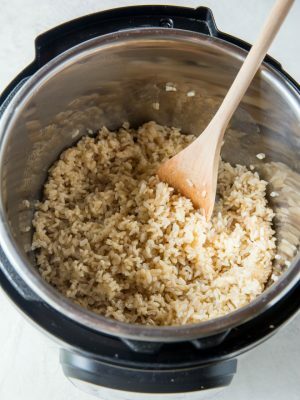 In a medium mixing bowl, combine flour, baking soda, ground ginger, and salt; set aside. In the bowl of an electric mixer fitted with the paddle attachment beat butter, sugar and zest on medium-high speed until light and fluffy, about 3 minutes. Beat in eggs one at a time. Add minced ginger and vanilla. Turn mixer to low speed. Add one third of flour mixture, then half of buttermilk. Repeat, ending with flour mixture. 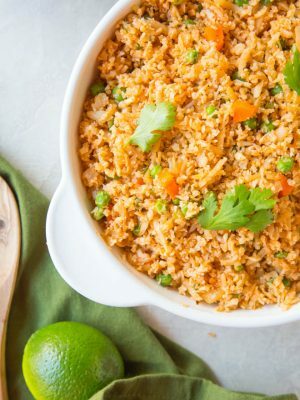 Pour batter into the prepared pan and smooth top with an offset spatula. Bake until a toothpick inserted into the middle comes out clean, about 60 to 70 minutes. Transfer pan to a wire rack to cool completely. Whisk confectioners sugar, lemon juice and 3 tablespoons buttermilk until smooth. Add more buttermilk 1 teaspoon at a time if needed. Drizzle over cake, let stand for 30 minutes. Enjoy! I used cake flour instead of all-purpose. I omitted the crystallized ginger and added 1 teaspoon lemon juice instead, for more lemon flavor. For the glaze, I added 4 ounces cream cheese when combining the sugar and lemon juice, and used milk instead of buttermilk. 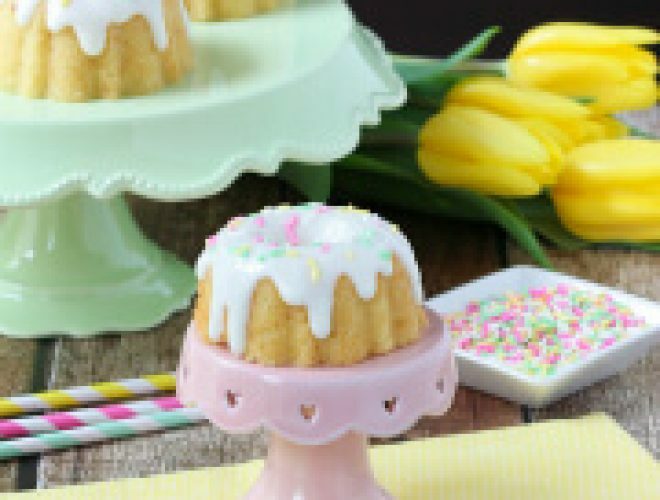 If using a mini bundt pan, bake cakes at 350 degrees for 18 to 20 minutes, or until a toothpick inserted into the center comes out clean. These have been featured as one of favourites over at Sweet and Savoury Sunday! Stop by tomorrow night when the party goes live, grab a button and link up. Happy Easter, have a great weekend! 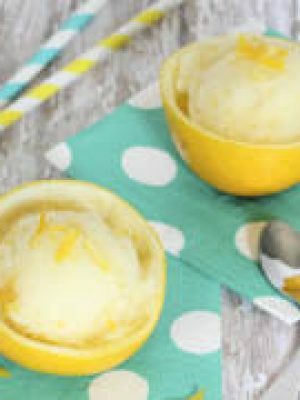 I love the sound of these, lemon and ginger are two of my favourite flavours. I've never tried them together before though. I also love your cake stands, they are so pretty. Visiting from Saturday Night Fever link party. 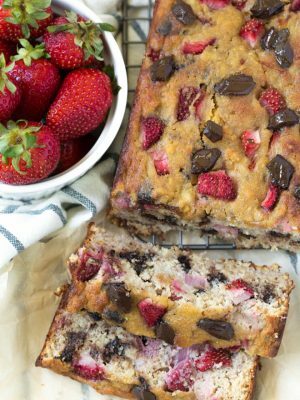 I co-host Sweet and Savoury Sunday and would love for you to share this recipe and more when out party goes live tonight. Have a great weekend! Thanks so much for stopping by, Laura! 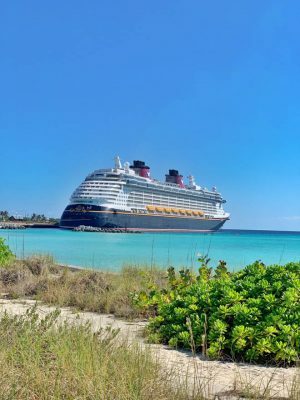 Heading over to check out your party! I definitely heart all things mini, as well! I'm not sure what it is about them that does it. These little bundt cakes are ador-a-ble to the max! Love them!! Thanks so much for stopping by, Deb! These are adorable! Sound delicious too. Hi Angela! The green stand is from HomeGoods and the small pink stand is from Jo-Ann Fabric Stores. They were both random finds, but I love them! They're adorable - maybe I'll get lucky in finding them too! Thanks, Ashley. 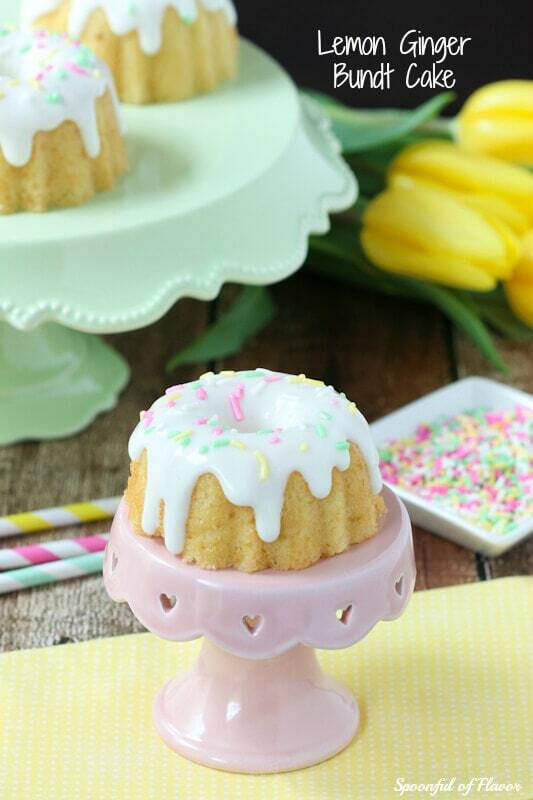 I have these mini bundt pans and now I am so excited to make these for Easter. One question though...when u added the 4 oz cream cheese, did you replace the buttermilk w/the cream cheese? Hi Chris! For the glaze, the cream cheese is in addition to the sugar, lemon juice and milk (I used milk instead of buttermilk). I mix the cream cheese in just after combining the sugar and lemon juice. 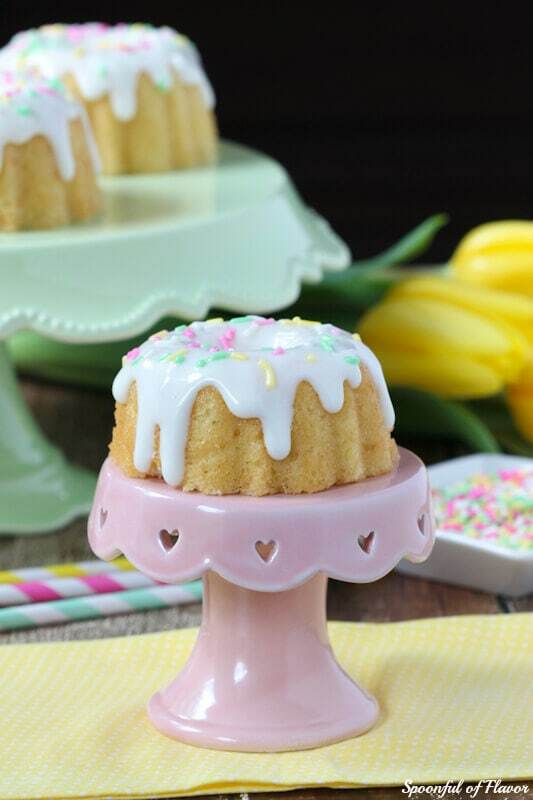 These little lemon bundts are super cute! 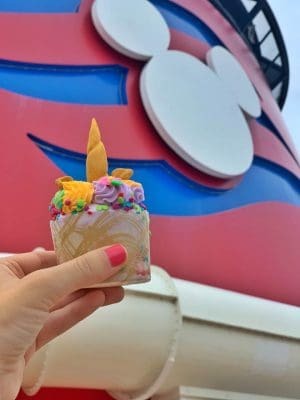 Love the drizzled icing! These bundt cakes are perfection, Ashley. Now you've got me incensed to try combination of lemon and ginger. It sounds like a perfect spring combo! Your gorgeous icing and those lovely rainbow sprinkles make all the colors in these cakes POP! ;) pinned! It is a great magazine that is an affordable price! These beautiful bundts look like they belong in that magazine, Ashley! They are SO cute and perfect for spring! Thanks so much for the sweet comment, Georgia! 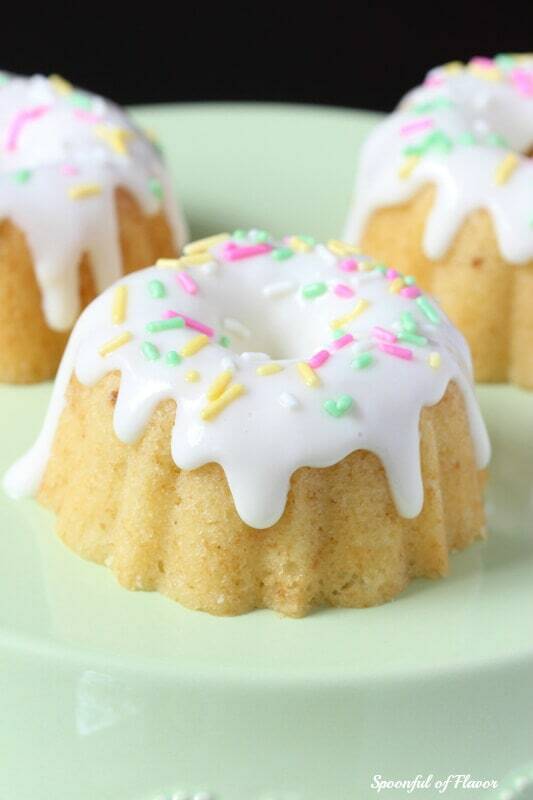 Love these little lemon Bundts, Ashley! So sweet!